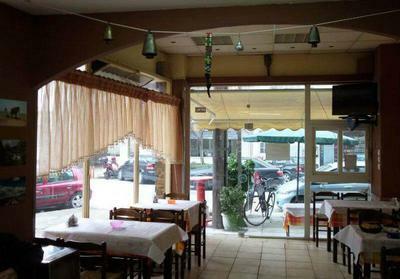 Kaliva taverna in Larisa is located in Agios Konstantinos. It offers greek cuisine in a traditional space with family atmosphere and warm hospitality. The menu includes traditional recipes prepared with the freshest market's ingredients, fresh seafood and local meats accompanied by the greek original raki. Low prices and excellent service are the main characteristics of this beautiful, traditional taverna. At Kaliva restaurant, you will try the most tasty delicacies, roasted chicken or pork, spicy local sausage, fried squid and grilled octopus and a wide selection of local specialities. If you're looking for a good taverna in Agios Konstantinos, Kaliva restaurant is a very good choice. Make free your reservation via e-table and gain great discounts and special offers.